The 2017-18 regular season ended with a Wildcat splash! 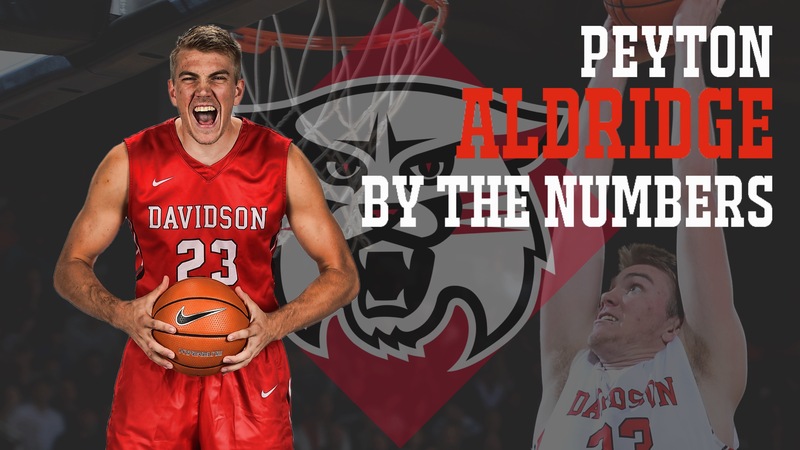 In the final week, Davidson beat Rhode Island as the Cats truly went wild on their home court. Earlier in the week, the Cats went to triple overtime with Peyton Aldridge scoring a career high 45 points, which surpassed Stephen Curry’s career high of 44. It was more than a big week, it was a huge year for Aldridge. Let’s look at the numbers. 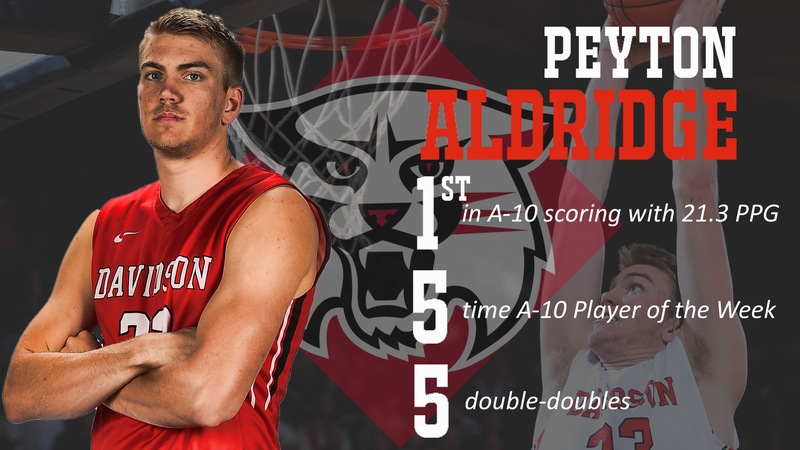 First, Peyton ended the season leading the A-10 in points per game with 21.3 PPG. He had a number of huge weeks throughout the season landing him five A-10 Player of the Week honors. And, he notched 5 double doubles. By, let’s dig a bit deeper and compare Peyton to other players with big seasons. Let’s look at Points Per Game, turnover rate, percent of minutes player, percent possessions, and percent shots. We’ll compare Peyton to Jaylen Adams, Jared Terrell, and Justin Tillman. Note, Peyton’s stats lead each category. Not only does he top the stats but in many cases, he’s leading by a lot! The numbers make quite a case for Peyton as Player of the Year in the A-10! It’s always great to be a Wildcat. This season it was truly great to watch #23 with such a notable season! ← Just HOW hot was Peyton Aldridge?